is headed for a hazard on or off the fairway. We imprint "Ears®" upon golf balls to accomodate these golfers. 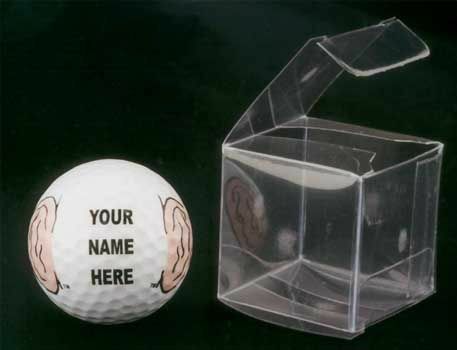 Golf Balls with imprinted "Ears®"
are golf balls "that just might hear youuuu"
and make unforgettable Golf Gifts.